Hey hey friends! This holiday season has been so fun, but we definitely have our eyes set on the new year already. What about you?! We are all about goal setting and preparing our hearts and minds for all that is to come in 2018. We’re coming together to claim big things over this next year, to dream big, and set some goals and get us ready to make it the best year yet! This class is all about reset—resetting those areas of our lives that may need a little extra attention or areas that we want to focus on as we head into 2018 strong! As a community we are coming together to embrace a year full of growth and wellness and purpose and abundance. Reset can mean so many things—making big changes in areas of our lives where we need it, making room for transformation in our heart and lives, allowing space for regrowth and rebirth within ourselves. It means to start, or to start again. Whatever area in your heart or your life that you feel needs a reboot or a reset, we are here to support you and share with you ways to pour into so many of these areas of your life. So let’s dive in—who is ready for a 2018 full of so much goodness?? Ever since I was a little girl, if there was one word people would use to describe me, it would be this—I was a total dreamer. Always had my head in the clouds. Always thinking and dreaming of things that I wanted to do, places I wanted to visit, things that I wanted to accomplish. And now as an adult, I can confidently tell you that nothing has changed. The dreams may be a little different, but I am still chasing hard after my dreams just as much as I was when I was younger. So this if for you—for those of you who won’t give up in the pursuit of your dreams. Who believe big against all odds. For those of you who need some extra encouragement that you are worth it and your dreams are worth it. A new year is like a brand new slate, and the perfect time to start dreaming some big new dreams. Grow—this amazing oil is for you passionate dreamers ready to grow and stretch in the pursuit of what you want. Use this oil to focus on your tasks and to keep your spirit positive as you make progress toward your dreams and tasks at hand. Believe—if there was ever an oil to use during a time of feeling discouraged or dreaming big, it would be this one. Because in order to go after your dreams, you need to believe in yourself and that the dreams you hold close are worth it. Use this oil to encourage feelings of strength and faith—both within yourself and in your dreams. Valor—what would life be without this amazing bravery oil?! Stepping out of our comfort zones and chasing after our dreams can often be scary and overwhelming, but it is also outside of our comfort zones where we learn and achieve the most. Use this oil when you need an extra push—when you need some extra courage and bravery to light your way. You’d be surprised—just a whiff out of the bottle may change your whole perspective. Magnify Your Purpose—the thing about being a dream chaser is that we have to act! We have to go after those things that our hearts desires—and this is the oil that will help you do it! Use Magnify Your Purpose to stimulate creativity, desire, focus, and motivation. 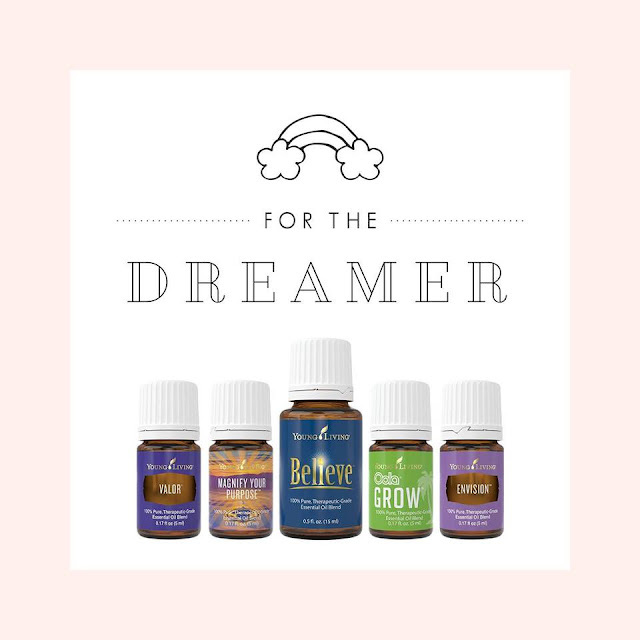 This oil will help encourage you to seize initiative and chase after your dreams! Envision—this oil is necessary for any dream chaser! Use envision to stimulate feelings of creativity and resourcefulness and to encourage a renewed faith in the future, in yourself, in your dreams, and in the strength necessary to go after those things that you desire! We believe in you, dream chasers! I am such a creative at heart. If someone asked me to describe myself in one word, that would be the word that I would use. And it took me a long time to feel comfortable in that identity, because I felt like I functioned so differently than those around me. But over time I just leaned into my creative spirit, and it is a massive part of who I am and how I see the world and live my life. 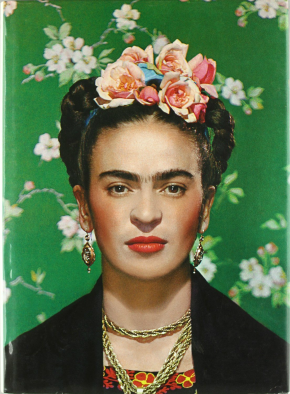 I think in different ways, we are all creatives at heart. Whether that means as artists or writers, or someone who can look at numbers and see patterns and use them in such a way that others just can't. I think any profession in any field requires a level of creativity that reveals itself in different ways. Idaho Blue Spruce--relaxes the body and mind, supports focus and emotions and enhances intuition, which is a gift beyond measure when you are expressing creativity! Lavender--this oil seriously cannot be beat for aiding our ability for expression. It calms the insecurities that sometimes surface when we are beginning a new project or exploring new ideas. This soft, fragrant oil encourages us to express emotional honesty in our work and liberates us to shine forth and CREATE! Orange--the bright, citrusy scent of orange can lift the darkest of moods and bring qualities of playfulness and cheer to our creative work. Creativity can be dampened by an overwhelming sense of duty or rigid standards, and orange helps us break through and get to work with a new, more child-like sense of purpose. Tap into an abundant pool of creative energy that is already within you, just waiting to be released. Let the joy flow! Palmarosa--I literally crave this oil!! Not only does it smell so good (where are my tree oil loving friends at?!?) but it is so supportive of emotions and creativity! This oil is stimulating while also being comforting, allowing you to express yourself with confidence. 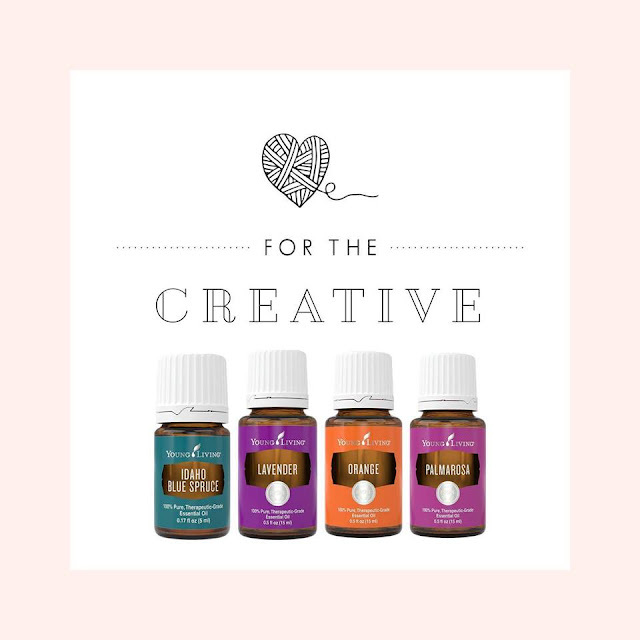 Whatever being creative means to you, these oils are such a great way to enhance that inner creative inside all of us! Who in here is a creative? What do you do? Moms and Dads out there—your job is tough! Stewarding our young ones (and older ones!) takes so much patience and love and work. We want our children to have the best lives possible and for our tiny humans to turn into wonderful people, and every snuggle and every kind word and every smile from our kiddos is so worth it, even while the house is a mess and laundry is piled high and we feel pulled in so many directions. But we are there and we keep showing up, and are doing the hardest work we can with so much love. These are for the parents that celebrate what matters most—family. 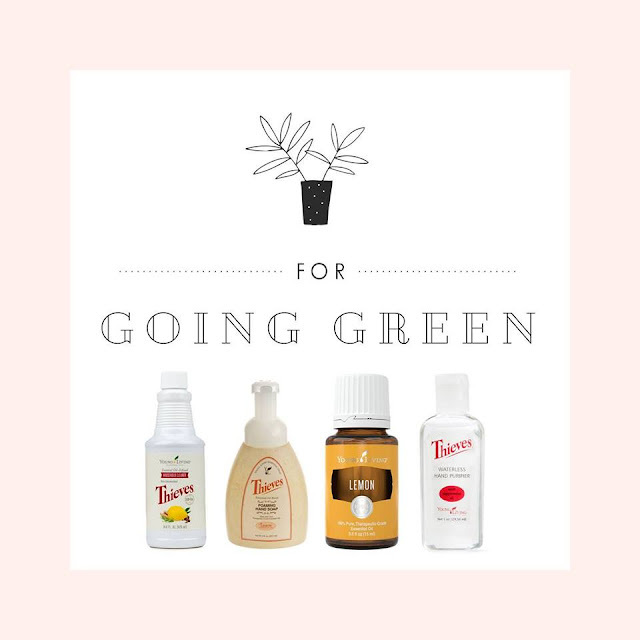 For the parents who also care about wellness and the products that they bring into their home so that their families can use the best of the best! There is no other company other than Young Living that I trust most with my family, even the littlest of littles. Family—this blend of oils not only smells amazing but it also so powerful! Family relationships are meaningful and can sometimes be complicated. This oil can help you to harness the pure love from healthy family relationships while you also grow as an individual. This blend has been specially formulated to support feelings of unconditional love, patience, and respect. It can also help uplift, calm the mind, and may help control negative feelings. Which let’s be real, family relationships can be complicated, but oh so good at the same time! Ningxia—back to our beloved red juice! Such a great way to love on your family is to make wellness a priority, and Ningxia Red makes that easy. Make time as a family to take some Ningxia everyday, both you and your kiddos, to support their immune systems and yours. Keep those little bodies strong as they grow! 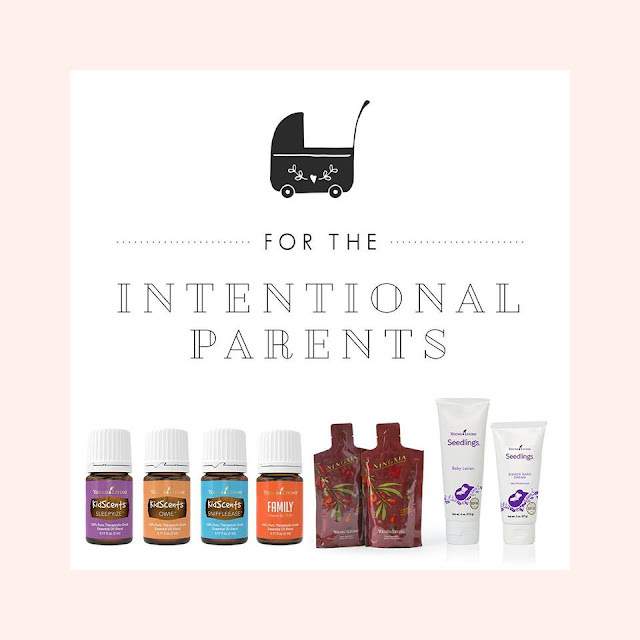 Kidscents—did you know that Young Living has a whole line of products developed specifically for our kids and their safety? Whether it is the amazing oils that are already perfectly diluted for their safety to support a whole variety of things such as sleep, immune support, digestive support, pain support, focus, and more, they also have amazing shampoos and lotions that are formulated without all the yuck so that we can be assured that we are using only the best of the best on our kids. The things that they put on their skin gets absorbed into their bloodstream, and thank goodness that Young Living gives us so many wonderful and healthy options that only boost their immune systems instead of harming them. Seedlings—our littlest loves need the best care, and Young Living has us covered! In the summer of 2017 they released a whole new line of products for our sweet little babes so that we can be sure that only the best ingredients touch their skin. Seedlings is Young Living’s baby line, and all of the products are completely plant-based and derived from natural ingredients, are dermatologist tested, hypoallergenic, vegan friendly, and formulated without alcohol, parabens, phthalates, petrochemicals, animal-derived ingredients, synthetic preservatives, synthetic fragrances or synthetic dyes! Nothing I feel more confident in than the seedlings products on my sweet babe! They have a baby lotion, baby oil, baby wipes, diaper rash cream, and shampoo/body wash. Incorporating a routine with your littles is not only a great way to establish a wellness routine, but it is also fun and allows them to be part of it. Whether by filling the diffusers before bedtime or always applying oils before school, figure out a routine that works well for you and your kiddos and embrace this amazing gift of wellness we all have! Get them involved along with you! So grateful for another year to love on our sweet little ones! 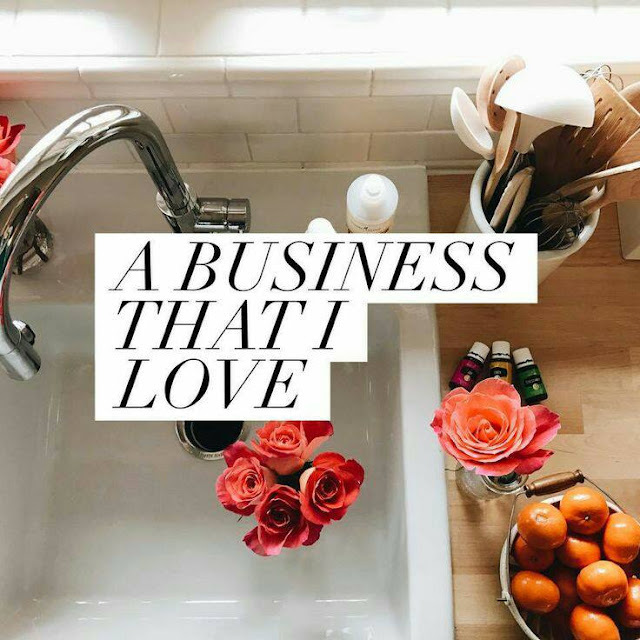 For most of my life, I never gave one thought to the ingredients that came in my household cleaners, shampoos—all of that. We simply bought what we needed at the grocery store or what was on sale and never considered that these products may be impacting our lives, our homes, and our health in negative ways. And then over time my perspective started to shift as I learned more and more. Now I can’t imagine using some of those products that used to be everyday staples! We’re not about scaring anyone, but if you haven’t yet, go download the Think Dirty app and just start scanning the products that you use in your home. Becoming more aware is the first step when it comes to making a change. There are toxins and synthetic ingredients and even harsh chemicals hiding in the most common, everyday products. Thieves cleaner—this amazing household cleaner not only smells delicious (it’s basically Christmas in a bottle!) but it will leave your house sparkling without the harsh smell or use of chemicals. This household cleaner is entirely plant based combined with some powerful essential oils to leave your house clean without any worry! It’s completely safe to use around kid’s and animals, and extremely cost effective as well! You only need a tiny bit of this concentrated cleaner mixed in a spray bottle with water, and it comes down to just 5 cents an ounce!! Wooohooo!! Thieves foaming hand soap—this foaming hand soap makes it easy to lather, rinse, and get on your way! With a plant-based, instant-foam formula combined with all the immune boosting oils that come in our beloved Thieves essential oil, your skin will be left feeling clean, refreshed, and never over-dried! Plus this gentle formula doesn’t strip your hands of beneficial oils in the skin! Lemon—this amazing essential oil also makes the perfect cleaner! Have kids at home that sometimes like to color on the walls?? Trying wiping it away with some lemon EO! Ever remove stickers from something but the stickiness doesn’t come all the way off? Use some lemon EO! Lemon can help remove even the hardest of stains! Thieves hand sanitizer—I never leave the house without some Thieves hand sanitizer. You can find it in my purse, stashed in my car—anywhere! Normal hand sanitizers out there on the market that claim to be antibacterial also strip your hands and body of good bacteria, and can leave your skin feeling dry and chapped. This waterless hand sanitizer combines the immune boosting properties of Thieves EO and peppermint oil to cleanse and purify hands, while also leaving them silky smooth. Thieves spray—quick and convenient, Thieves spray is a portable essential oil spray ideal for cleaning small surfaces. Just one small spray freshens counters, sinks, door handles, toilets, and more using only naturally derived, plant-based ingredients and the powerful spicy-citrus scent of Thieves essential oil blend. Safe to use around children and the perfect size to throw in a purse, backpack, or luggage, a bottle of Thieves Spray is ideal to keep with you wherever you go! What is the first thing you want to switch out in 2018? Working Momma’s—you are killing it! Loving on your family and pursuing your dreams at the same time is beyond inspirational! There is no doubt that you are working hard in every single way, believing in and pursuing the best for your family whether you need to or want to. That working mom life can be a tough one, and these are some products to help support you as you wear all your different hats! Believe—believing in yourself, believing in your choices, believing that you are making the right choices and decisions for your family and for your work can be a lot to manage! 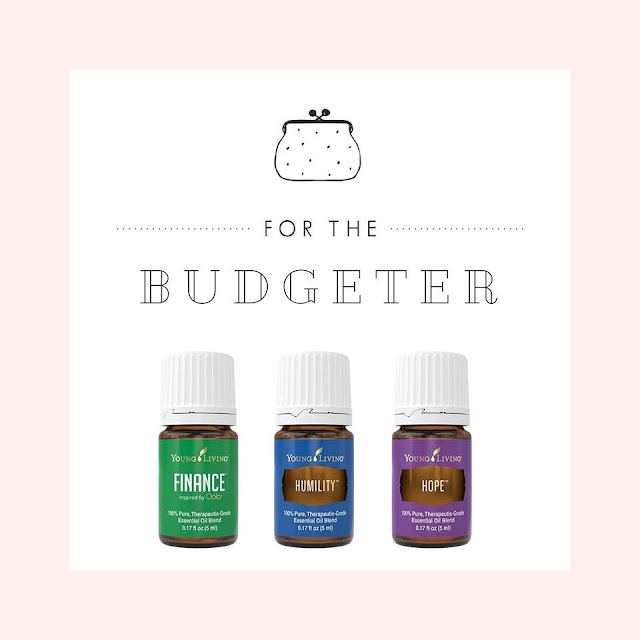 And this oil is a great one to use to support all the different choices and decisions that you have to make as a working mama. Pull this out during times of feeling discouraged or dreaming big. Sometimes it can be hard to believe that you are doing the right thing at times, and this oil is here to help you believe in yourself, your dreams, your choices, and that you are doing your best! Highest Potential—no matter where you are spending your time and what you are doing, it’s great to be all there. But as a working mama, that can be a hard to do when you are juggling a family at home while working hard (and especially if you work at home!). Use this oil for those moments when you need some extra focus and to harness the inspiring power of this oil to get the job done, no matter what that job may be. Ningxia—nothing is more important for the mompreneur who is pursuing her dreams than to stay energized and healthy! This beloved red drink not only floods the body with powerful antioxidants, but can also help to boost and sustain the energy needed to pursue our dreams in the working world and also be just as present and energized with our kids. Zyng—sometimes we do all we can, but we still need a little bit of extra energy. Maybe we’re working in the evenings so we can spend the days present with our kiddos, or the little one was up all night and we’re just exhausted—Ningxia Zyng can come to your rescue! This energy drink if full of antioxidants and natural caffeine that will give you a boost that is full of flavor without all the yuck and sugar and preservatives that comes in most energy drinks, plus you won’t feel a crash afterward. 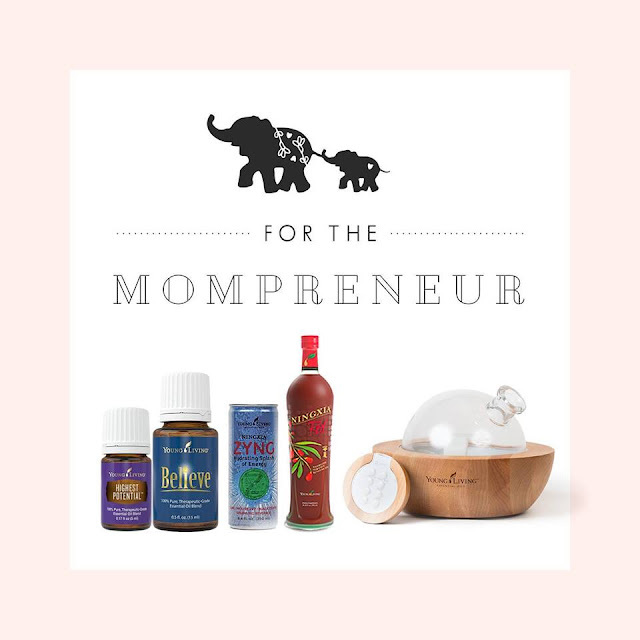 It can even help to support cognition, so whether you are with your kiddos or working hard bringing that mama hustle and conquering your dreams, you can be supported! Aria Diffuser—oh this beloved diffuser! It should be on every mompreneurs wishlist! Not only is it super stylish and would be great in any corner of your home, you can also change the light settings and even play music through it! It’s our favorite diffuser by far! For as long as I can remember, I have been a reader. There is nothing that I love more than a good book. And even when it is not for fun, I am a learner by nature and when I have an interest in something, I want to know as much as possible. 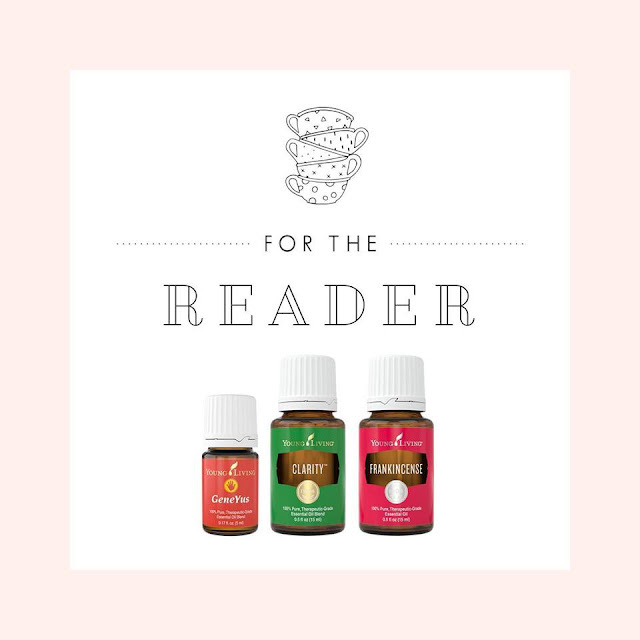 Maybe you’re a student being forced to dive deep into things or a lover of books or just looking for some extra focus, you’ve got to try out these oils. Geneyus—this oil is so great to use from little kids to older adults. Pull this oil out whenever you need support to focus and concentrate on a project or a book or a time of study. Clarity—when you’ve been working on a project and are starting to get sleepy, or need to have your head in a book and just can’t concentrate, pull out your Clarity oil! I love to diffuse this in my office first thing in the morning as it invites a sense of clarity and alertness. Frankincense—sometimes it can be hard to focus and concentrate, and at other times it can be hard to relax and feel grounded, especially when we want to be. Want to cuddle up with a blanket and book but having a hard time relaxing? Bring out the frankincense!! What’s on your reading list for 2018? Going to be straight up honest with you—this one can be a hard one for me!! I have my mind so focused on the future sometimes that I forget to just live in the moment and embrace what is before me. I’ve been realizing lately that I’m missing out on so much by having my mind focused on what is going to happen next. So here’s to embracing the moments as they happen right in front of us and soaking up all the beauty that is in the present! Present Time—this oil may be one of my favorite scents in the whole entire world, and one that I use on a frequent basis! Present time helps you focus on the here and now so you can get beyond the past and move forward. Friends—one of the best ways to live in the moment is by spending time with friends! A social circle comprised of both friends and acquaintances is vital to our wellbeing. This oil has been specially formulated to bring harmonic balance to the energy centers of the body, which encourages feelings of self-worth, empowerment, confidence, and awareness. Fun—if there is one thing I could make more room for in my life, it would be time to just have fun! To be silly and whimsy and not so focused on my to do list and the things that need to be done! Fun is a very unique category to you. It is whatever activity or hobby you are personally passionate about. If you don’t have time for fun, then you need more fun in your life! This oil blend has been specially formulated to help promote uplifting, revitalizing, and euphoric emotions. This blend’s fragrant aroma boosts self-confidence to impart a positive outlook that can enhance the pleasure of pursuing the joys of life. Let’s all have a little more fun! Release—this oil is a dream! We so often get focused on all the things that we have to do and store up so much stress and nervousness that gets in the way of us embracing the moment in front of us. Use Release to create a relaxing atmosphere and to help let go of anger and frustration. It promotes harmony and balance, giving you the freedom to embrace the moment before you. Here’s to celebrating the little, everyday moments in our lives and being present in all the moments in front of us! Clarity—one of the first parts of becoming organized is getting focused, and this oil is a wonder for focus support!! Use this to gain a sense of clarity about setting routines and getting your life in order! Mindwise—when you need some extra brain power, Mindwise is your answer! This amazing superfood supplement contains some essential fatty acids combined with essential oils that create a heart and brain function supplement with a taste you will love!! When you need a little extra focus and brain support to help get things done, make sure to add this to your routine!! Nitro—need a little extra motivation and energy to get organized? Get some nitro! Not only does it support overall health and wellness, it will give you the alertness and energy levels to get yourself moving! Creating a supplement routine—there are so many different areas of our lives that we may need work on creating organization, and I have to say that creating a supplement routine for myself has been one of the biggest life changers I’ve experienced over the past year. Figuring out my needs and figuring out what supplements I need and taking them consistently has been such a game changer! I encourage you to make this part of your 2018. Create a supplement plan that works for you and stick to it!! 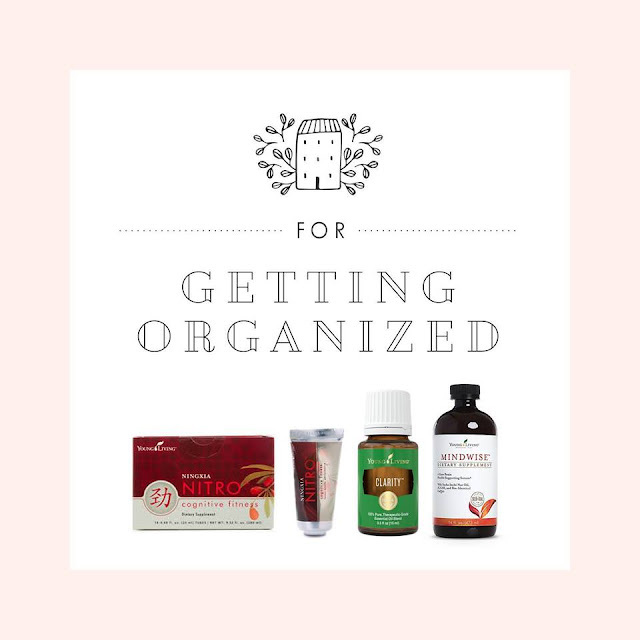 Who, like me, needs to work on getting organized?! Finance—debt is a major stressor in many people’s lives. Manage and balance your finances and learn to be free of debt. Live free of this burden and start taking steps to improving your finances. This oils blend has been specially formulated to encourage positive emotions and increased feelings of abundance. This uplifting and inspiring blend also brings clarity and alertness. Humility—we all have different backgrounds and financial situations, and no matter where we find ourselves, we should embrace humility. Humility is the foundation of emotional strength and this oil promotes deeper spiritual awareness that can help us as we make important financial decisions. Hope—sometimes we find ourselves in hard financial situations where we need hope. This oil blend invites you to restore your faith by reconnecting with feelings of strength and stability, which is definitely something we could all use when things are tight. Praying for a 2018 full of abundance in all areas of your life! Travel set—figuring out what to pack when you travel can be a lot to organize! 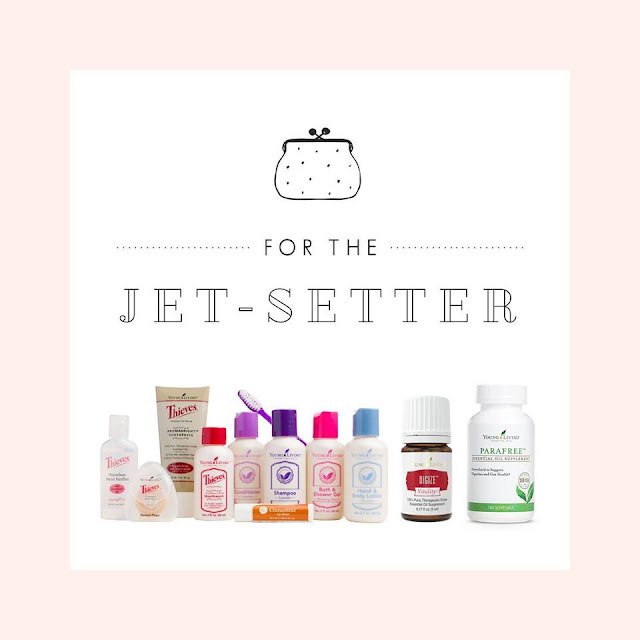 Did you know that Young Living has a Bon Voyage travel set full of all the toiletries you need in a compact bag that you can easily fit in your luggage?! All the products in them are TSA-compliant and allows you to continue to use the best of the best even while away from home. It includes toothpaste, hand purifier, dental floss, mouthwash, a toothbrush, lavender shampoo and conditioner, cinnamint lip balm, bath & shower gel, hand & body lotion, and moisturizer. Digize—traveling to new places and especially trying new foods is one of my favorite things about traveling, but it can also be a gamble. I never, ever travel without DiGize! This oil is one of my favorites for digestive support. When my tummy is in trouble, I always reach for this! It’s also great to have on hand for long car rides! Parafree—this supplement is great to have on hand while traveling just in case! Use ParaFree to support the digestive system and as a natural colon cleanser if needed. Do you have any travel plans for 2018?! 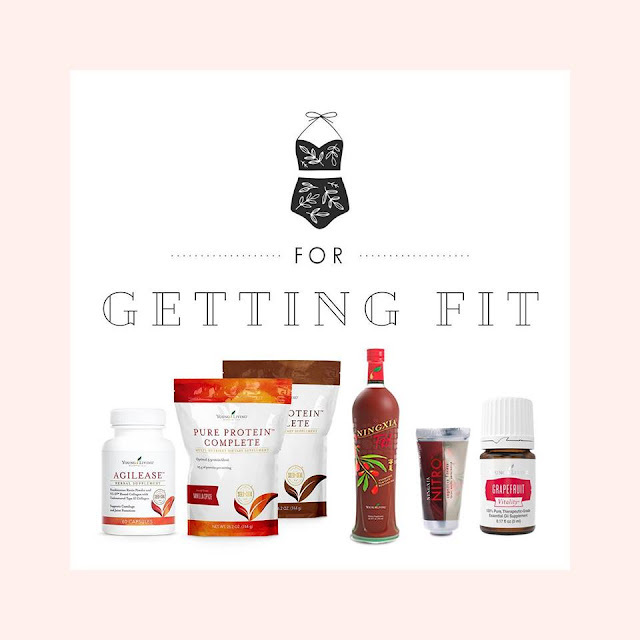 Whether it is the new year inspiring you to set some fitness goals or just a desire to change, we all go through phases where we feel that we need a bit of reset on our fitness and wellness. 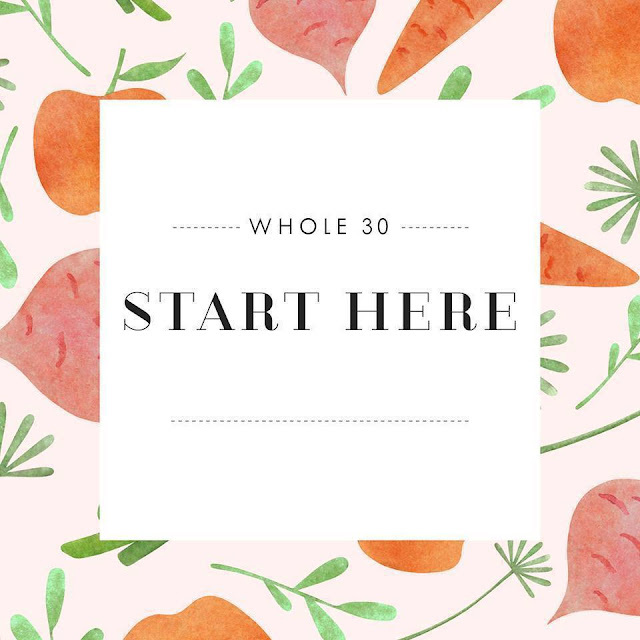 In fact, we’re so excited to jump into this together that we have a whole community devoted to resetting starting in January where we will be doing a Whole 30 as a team. Maybe working out is already such a big part of your life or maybe you are hoping to embrace some new goals and work on getting fit. Here are some products that you must try! Agilease—this is a supplement that is a must have for anyone focused on their fitness. This joint health supplement is full of beneficial essential oils and other natural ingredients such as UC-II, undenatured collagen, and more for those individuals who are looking to gain a greater mobility and flexibility while decreasing inflammation in the body. Grapefruit—this citrus oil is one of my favorite and it has so many uses—including being great for those embracing a healthier lifestyle. Grapefruit has such an invigorating scent that will make you want to get up and moving even on the laziest of days. It encourages feelings of joy, satisfaction, and playfulness, and supports healthy metabolism levels. It’s a must have! Pure Protein Complete—this delicious protein powder comes in both vanilla and chocolate (and they both taste amazing btw!) and is such a great addition to any athlete’s workout regimen. PPC is a comprehensive protein supplement that combines a blend of 5 different proteins, amino acids, and ancient peat and apple extract that will leave you full and satisfied. It is high in protein, supports the muscular system, supports the body in building lean muscle, supports ATP production, supports energy levels, and is a great post-workout muscle recovery drink! Have you tried it yet? Ningxia Red and/or Nitro—if you’ve been around this community any length of time, I’m sure that you’ve heard us mention this beloved red drink! Ningxia red combines powerful antioxidants and superfoods to support energy levels all throughout the day (not to mention also supports your body on a cellular level as well). Still feel like you need an extra boost? Check out Ningxia Nitro as well! This drink combines essential oils, Korean ginseng, and green tea extract to support alertness, cognitive, and physical fitness. It will definitely be your best friend to help you out throughout a busy day or a tough workout! 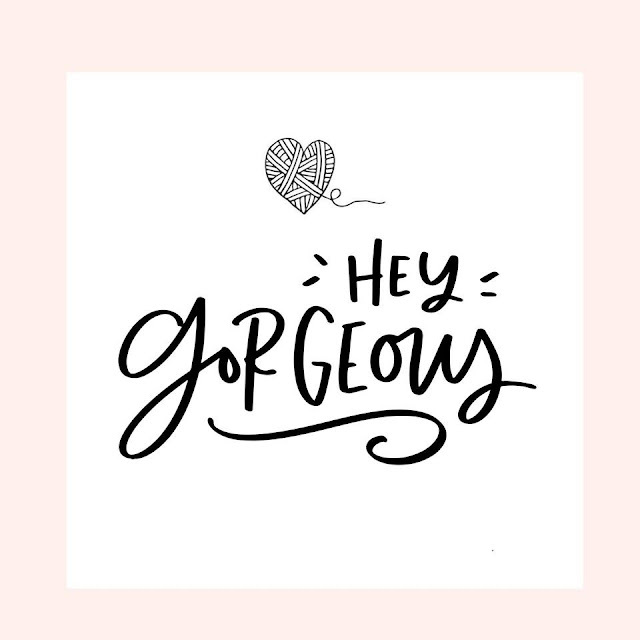 Cheering you on, fitness buffs! In fact, we’re so excited to jump into this together that we have a whole community devoted to resetting starting in January where we will be doing a Whole 30 as a team. If one of your goals is in the area of fitness and you want to join us in a Whole30 Challenge starting on Jan 1 then come join the group below!! We have everything lined out for you to make this SO easy!!!! Even if you want to join to get some ideas on healthy recipes and habits come join!!! So now that we dove into so many different areas of our lives, let me ask you—are you ready to reset?! Ready to dive into 2018 with passion and excitement?! Whether you are working on creating new habits, starting something new, or dreaming big about what you hope will happen in this coming year, we are behind you 100%!!! 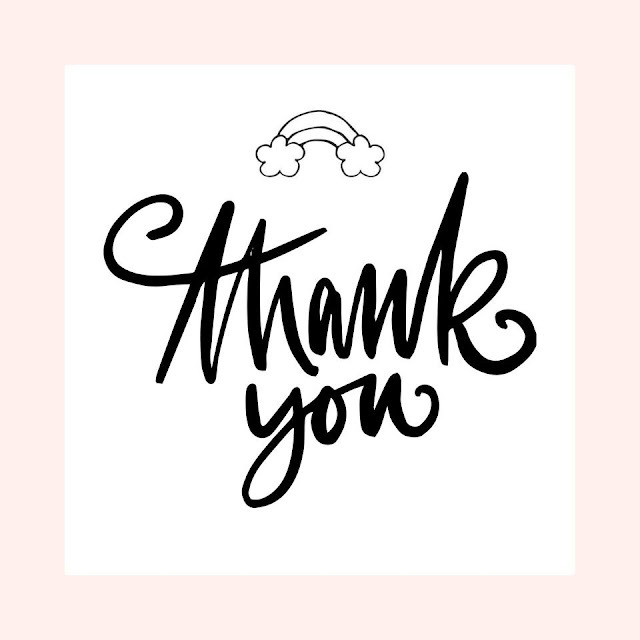 We’re so glad that you were able to join us on this class tonight! We are passionate dreamers ready to start this new year off with a bang, and are so grateful that you were able to spend this time with us! Let’s make 2018 the best year yet!! Love you all, sweet friends!!! Have a great night and the BEST YEAR EVERRRRR!!!!!!! !